Though not religious in any formal sense, Ruth Hayes was deeply spiritual in her relations to her loved ones. Her life was a mixture of admirable successes and profound sadnesses. 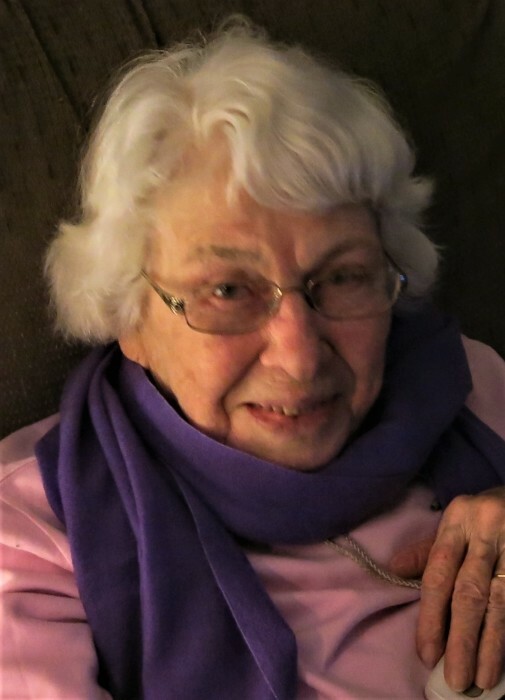 She died peacefully on Oct. 5, 2018 in the home that she built in Esofea, Wisconsin with her late husband Dan (Truman Daniel) Hayes. Born May 7, 1920 in Norman, Oklahoma of Edwin C. McReynolds and Ruth (Frye) McReynolds, she spent her depression-era childhood on a small chicken farm with brothers Earl and John and sister Dorothy (Edgar). Edwin became a professor at the University of Oklahoma and wrote several textbooks still used today, while Ruth taught first grade and was an early environmental activist. At her brother Earl's funeral in 2003, Ruth Hayes spoke: "Remember the house our mother built? She drew the plans for the blueprint. She installed woodwork and when the carpenter was too drunk to climb up the ladder to install the roofing, she even did that. The drunken carpenter kept a hidden stash under the house. Often by noon, he was finished." Their son John (Ruth's brother) died of appendicitis when he was a boy. College in Joplin, Missouri (presently Missouri Southern State University.) where she was concertmaster of the orchestra and where she met her husband Dan. Daniel Hayes Ruth and Dan were married in Webb City on Dec.7th, 1941 (Pearl Harbor Day) and Dan immediately enlisted in the Air Force ("to get a way from me" said Ruth). Dan was a riveter at Lockheed in Los Angeles and their first son, Daniel Arthur, was born there on Oct.18th 1942. They then moved to Lincoln, Nebraska, where Dan organized concerts and entertainment for the troops. A daughter, Dorothy Helen, was born in Lincoln, and Ruth raised her first two children in Leavenworth, Kansas, three hour's drive away. After the war, the family, now four, moved to Norman, Oklahoma, where Ruth's father, Edwin, was teaching history at the University of Oklahoma. Here, Dan finished a Bachelor of Arts (History and Music) and Ruth continued to facilitate Dan's career. They lived in a converted army barracks, and a second son, Edward Neal, was born. Dan was director of music at WNAD at the University. A move to Rochester, New York allowed Dan to earn a master's at the Eastman School of Music, where he studied composition and piano. Tragedy struck when their first-born son, Daniel Arthur, drowned in the Genesee River on June 6, 1950. He was seven year old. A return to Norman, and the purchase of their first house, helped in the healing of the wounded family. Dan found work as director of music at OU radio station, and Joseph Spencer was born. It was the McCarthy era, and Dan and Ruth reluctantly allowed FBI agents to enter their house to spy upon a neighbor who was allegedly a communist sympathizer, a submission that Ruth always regretted. 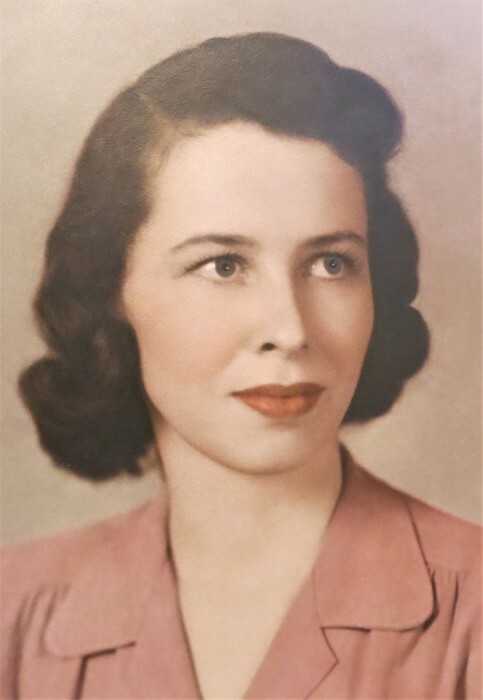 Ruth's mother, Ruth McReynolds, early in her own marriage, had designed and had built her own house, and Ruth's lifelong dream of living in the country may have been a factor in the family's move to Goodwell, a tiny town in the panhandle of Oklahoma, where Dan began teaching piano and music appreciation at Oklahoma A and M College. Their last son, Robert Andrew, was born in Guymon, where Ruth obtained a teaching certificate. However, she was becoming increasingly frustrated by Goodwell's isolation; the nearest city, Amarillo, Texas, was a two-hour drive, trees were few, and the dust was pervasive, even invading the ice cube trays in the freezer. She persuaded Dan to pursue a Doctorate in music at Champaign-Urbana, Illinois, so the family was uprooted once more. Here Ruth taught for four years at the (almost) eponymously-named Hays Public School. "She is a particularly strong shared by colleagues, teacher in all areas. She displays some of whom much a good knowledge of the learning younger, who continued to process, keen intelligence, sound stay in contact with Ruth judgment, creative talent, and a for many years. Her wonderfully patient but firm pursuits included a sewing manner with primary children. In circle, a bridge group, and addition, she possesses a very playing violin in the La attractive and pleasant Crosse Symphony. In personality and is a most addition, her deft cooperative and conscientious gardening hand colleague." - Clyde W. Slocum transformed the garden at her State Street house into a thing of beauty. Never relinquishing her dream of a house in the country, Ruth and Dan now made their final move: the farm in Esofea, a half hour drive away, where they had bought land and where Joseph lived and had a nursery business. Here in idyllic surroundings beside the Bad Axe River, they built a beautiful house for their final years together. Here where Joseph and his wife Cynthia Hoff were building a golf course, the family raised plants to sell at the People's Co-op in La Crosse. When Ruth and Dan reached their 50th year of marriage in 1991, they were feted by their offspring in a joyful (and surprise) celebration attended by friends and relatives from as far away as California and Toronto. Another tragedy for Ruth, and the entire family, occurred in 1996 with the accidental death of her youngest son Robert (Andy), an event she met with unbelievable stoicism. She was now without either parent, without her siblings, and without her eldest and youngest sons. Still she found the inner strength to carry on, as can be seen in this photo of a bicycle thoughtfully given to her by Joseph. Ruth's artistic abilities were evident in her lovely watercolors. Her son Robert Andrew had been quite interested in photography, and Ruth would take some of his photographs as starting points for her paintings. This top one is a of her lemon tree, started in the small conservatory on State Street in La Crosse, then moved to bask in the sun of Esofea. A final tragedy awaited Ruth. After too little time enjoying his retirement in the country, with its attendant golf and fresh air, Dan fell. During his long incapacitation, Ruth honored Dan's wish to keep him at home, and was fortunate to have the expert caring help of Joe's wife, Cindy (Hoff). 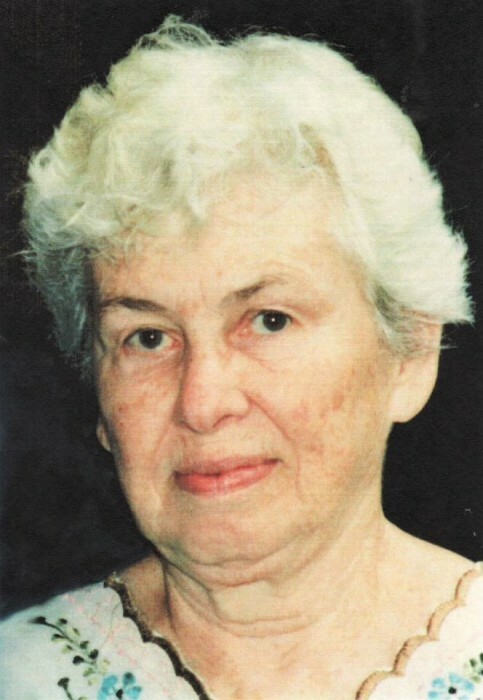 With Dan's eventual passing in 2011, Ruth seemed to find an inner calm and acceptance which was to last another seven years, during which she enjoyed frequent visits from the many relatives with which she was blessed: 3 surviving children, 9 grandchildren, and 9 great-grandchildren. In addition, visits by friends, especially children, moved her to moments of joy. Ruth enjoyed receiving letters from dear friends and former colleagues, such as Mary Lou Duff, Eleanor Kennedy, Catherine Beyers, and too many others to recount. But her fondest memories were no doubt of her extended family. Her decision to dedicate several years of her retirement to the raising of grandsons Dan and Will was one example of her incredible love and generosity.